Home » Denmark » How to get Denmark Work Visa? This entry was posted in Denmark Denmark Immigration and tagged Denmark Green Card Scheme Denmark Immigration Denmark migration denmark work permit visa Denmark Work Visa Denmark work visa application form Denmark work visa points calculator Denmark work visa requirements work in Denmark on May 17, 2014 by Blog Author. Denmark is renowned as the happiest place to live in the world. The country is well known for its living and educational standards and the unemployment rates are also very low in the country. It is the country of Scandinavian region of north Europe. As Denmark is offering huge employment opportunities, most of the people are interested towards Denmark migration. In the process of Denmark work visa application form, if you are a Nordic citizen then you don’t require Denmark work visa to stay, study and work in Denmark. If you are a Swiss national or EU/EEA citizen then you should apply for Denmark work visa. If you hold a Danish residence permit then you can work in Denmark without acquiring Denmark work permit. 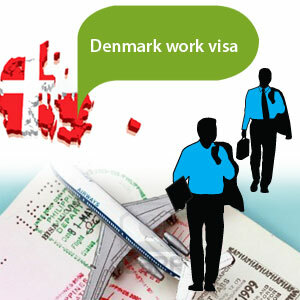 The candidate can obtain Danish work permit visa if they hold valid job offer. Danish green card is specifically designed for skilled professionals who want to work and settle in Denmark. Danish positive list is a list of professions which are in lack of highly qualified professionals. So, if the candidate holds a job offer within the positive list then they can easily acquire Denmark work permit visa. Candidate should hold a bachelor’s degree. 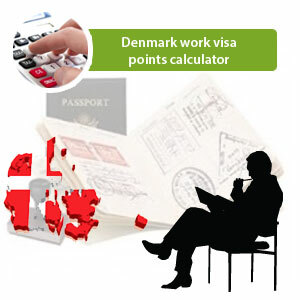 Under Denmark green card scheme, the candidates are screened based on the points acquired through Denmark work visa points calculator. Points based grid system allots points to the individuals based on set of factors like educational qualification, age, work experience, language skills, and adaptability nature depending on the financial support proofs. As, the process of obtaining Denmark work visa is very easy all the candidates who are interested and motivated for Denmark migration can switch onto Denmark work visa. For More information about Denmark work visa please fill out MoreVisas Enquiry form, one of our immigration consultant will contact you soon, And also follow us at MoreVisas Official Facebook page. I only have a bachelors degree with a few certificates of merit .basing on those can I be eligible to apply for work permit visas?